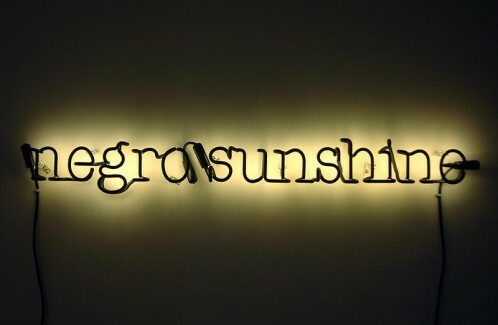 Throughout his career, conceptual artist, Glenn Ligon, has pursued an incisive exploration of American history, literature, and society across a body of work that builds critically on the legacies of modern painting and recent conceptual art. He is best known for his landmark series of text-based paintings, made since the 1980s, which draw on the writings and speech of diverse figures including Jean Genet, Zora Neale Hurston, Mary Shelley, and Richard Pryor. Since 2005 Ligon has made neons that push his practice into new, unexpected territories while remaining in dialogue with his text paintings. Neon is the first exhibition that brings together a significant number of these neon works, many of which have never before been exhibited in New York.